We already informed you that Samsung has a plan to launch SCH-W999 for the China market and just now this handset is made official by Samsung in China. It is a clamshell mobile phone which is featured with dual screens. You can call it a successor of Samsung SCH-W899. There is no official information on the price and release date of this handset. Samsung SCH-W999 is packed with dual screen each is of 3.5 inch with WVGA resolution and Super AMOLED panel. It provides upport to Dual SIM cards slot that’s mean you are able to maintain your personal and professional contacts on the same phone. Best of all it has dual-mode connectivity i.e.GSM and CDMA2000 EV-DO 3G. Under the hood of Samsung SCH-W999, you will see a dual-core 1.2GHz Snapdragon MSM8660 processor while on board it has dual screen inside and outside along with a 5MP rear camera. It runs on Android 2.3 Gingerbread operating system and on the top of this OS TouchWiz UI is present. For the connectivity it has Bluetooth version 3.0, WAPI and Wi-Fi. It has HyperSkin on the back. You are free to flip the handset for getting the keypad and also as a candy bar. 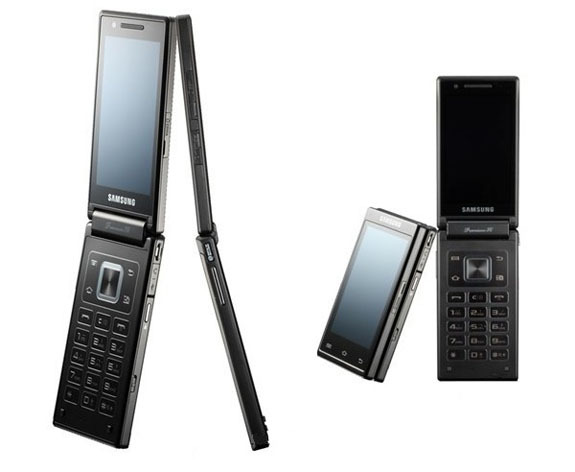 It is expected that Samsung will release SCH-W999 Clamshell Phone next year in the China.